I enjoy writing reviews of Matthew Harffy’s books. It is such an easy job with writing this good. 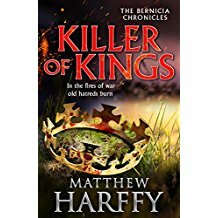 Killer of Kings is the fourth book in the Bernicia Chronicles series and Beobrand, recovered from his injuries, is on the road again. This time he is travelling to East Anglia. King Oswald has asked him to accompany a group of monks taking a present to King Sigeberht. They come across a village in flames. Beobrand tries to help, but he is outside his own king’s lands and is forced to leave. He rescues one girl, but already he suffers the guilt of leaving innocent people to die. 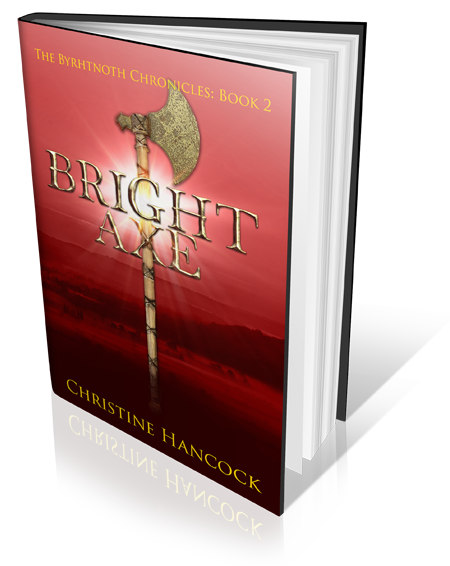 Reaching East Anglia they find the king has retired to a monastery and his relative Ecgric is king. Neither of them seem interested in defending their land from attack from King Penda’s Mercia and Beobrand realises he has been sent to support the East Anglian army. The armies meet in a long and bloody battle. Beobrand narrowly escapes, but without his men and his horse. With an old friend he travels to Kent, meeting relatives for the first time since he left for Bernicia. In previous books one phrase has recurred – his mother’s dying words “You are not your father’s son”. Beobrand discovers the truth, but it is even worse than he suspected. On the journey home he attempts to fulfil his vow to kill the man who defiled and killed his wife. Nothing goes as planned. Meanwhile, back at Ubbanford, Reaghan worries, surrounded by people who hate or despise her, what will happen to her if Beobrand doesn’t return? Like the previous books, this volume is filled with blood and guts. The reader can have fun counting the different synonyms for blood, although I sometimes find it annoying. Beobrand is developing as a character. He worries that he is unable to deal with the memories of the death he deals his enemies. The only way he seems to find peace is by more killing, but even revenge cannot sooth his soul. He feels the loss of his hearth companions deeply, they died because of him, he should not have survived. With the loss of his horse as well, I am starting to wonder if his mind can survive this sort of pressure. Where can the author take his character next? It will be interesting to find out. I started reading the book one evening, I could have finished that night, but I forced myself to stop. I had things to do the next day, but I wanted to prolong the enjoyment. After all, I’ll have to wait many months to read the next instalment, to find out if Beobrand can find peace.